It’s a very popular one and sounds great – but is it really my or HR’s achievement? Aren’t there hundreds of variables that contribute to why people leave? How is HR responsible for a change in someone’s domestic circumstances or the fact that an employee may want to take their career in a different direction? Just because it’s a ‘people thing’ doesn’t mean that HR can claim success when the overall turnover number goes down or indeed get the blame when it goes up! Again, something positive but a) it’s very broad and b) is it an activity or a result? Often, people will talk about the stuff they went away and did to improve induction but how do we know the ‘experience’ is now better than it was? Very tangible and nothing wrong with this: but ‘£ note’ results are obviously the easiest ones to articulate (even though often difficult to achieve). Money is very tangible which is why so many roles try to define progress in terms of it. Think about the ROI of training, for example, and the exhausting attempts some go to in order to quantify success. Relating results to financials can often be difficult to do in many areas of HR. So, we need to think smaller when thinking about results and achievements in HR and towards those things we can more directly and tangibly have influence over. The twelve results below are not guaranteed but with skill, knowledge, attitude, a bit of luck and a following wind we could achieve them. 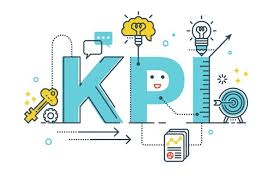 All the following examples can also exist as Key Performance Indicators (KPIs) that can be targeted, measured etc for greater focus and success. - I have put some of the coaching tools and techniques into place? Traditional ‘macro’ HR metrics will always be used in many organisations: The headline engagement survey score, the employee turnover rate, the average employee appraisal rating; but how much influence over those can HR really have? Sales people won’t last long if they rarely hit the sales target; if headline employee engagement results scores kept falling would my job actually be at risk? We often measure things in HR because they feel people-related and should be ‘owned’ by us – which is fine. There is, however, a difference between using our expertise to help move the needle on metrics that have hundreds of variables and having a handful of key measures that we can influence and impact in a more significant way. Your next step? Create a dashboard of ‘micro’ KPIs like the examples above that you can effect change with, that the organisation cares about and that the team can really get motivated to get stuck into!